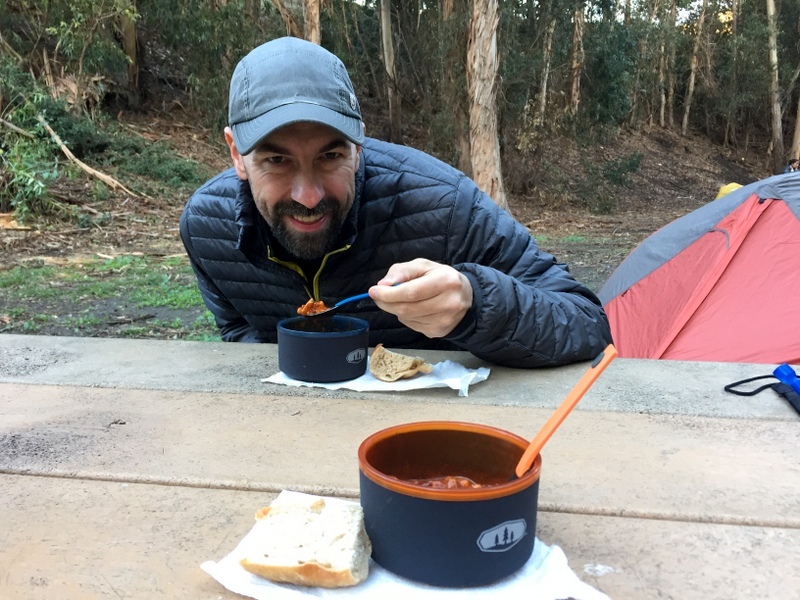 Web Developer, campground reservation guru, Mr. Fix-It extraordinaire, outdoor enthusiast, and all around handy guy. When not working hard at his 9-5 job, you can find Tim puttering around his garage (aka…back of the truck), inventing a new way to use LED lights, or spending time in the great outdoors. Blog writer, passionate embroidery designer, food planning and preparation master, conquerer of mountains, and weirdly in love with vacuuming. Amanda is the primary author of this blog and the CEO (Chief Embroidery Operator) of Wandering Threads Embroidery. 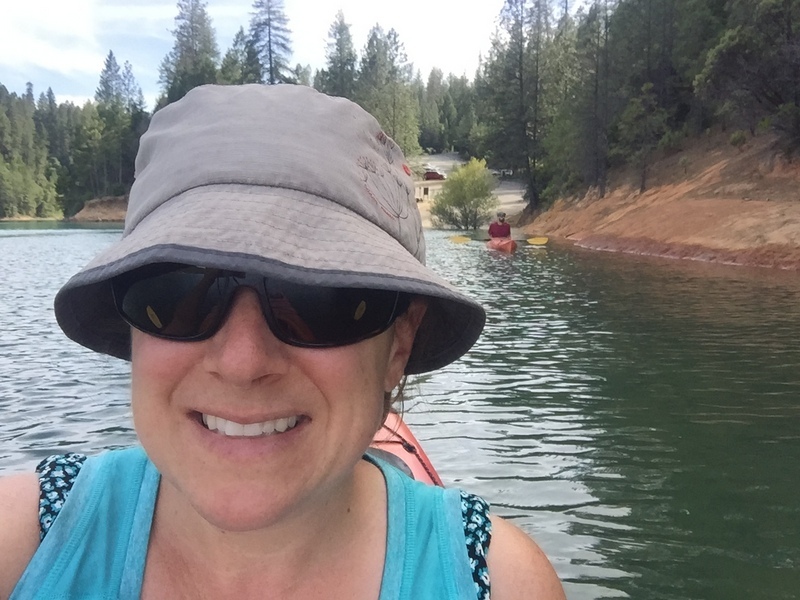 When not writing or working on a new embroidery piece, she can be found trekking up mountains and kayaking around lakes. It all began when we realized that our most enjoyable memories together have occurred while traveling. The thrill of seeking out a new place, exploring hiking trails and lakes, visiting tiny towns and discovering hidden gems is hard to beat. Arriving back home and adjusting to real life was always the most difficult part of the journey. We wondered why can’t this be our “real” life? Why does travel always have to mean vacation? The answer is simple — it doesn’t. Fueled by our desire to travel while maintaining a regular lifestyle, and inspired by others who chose the same path, we set out to make our dream a reality. A five year plan was devised. We would sell our house, whittle our possessions down to only the most necessary items and travel around the country living and working in an RV. Three years later in the summer of 2012 the dream became a reality. 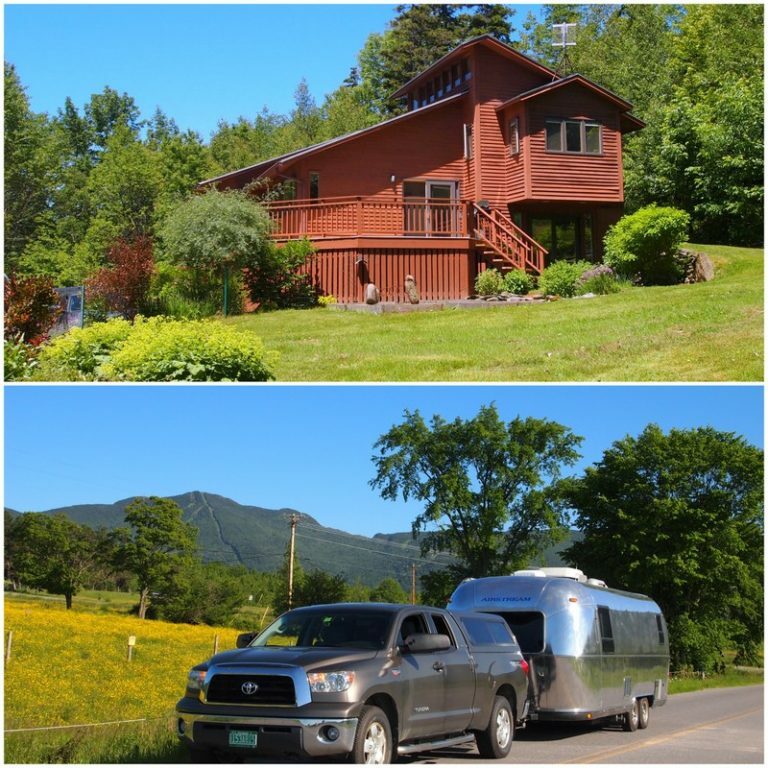 Don’t get me wrong, we loved our life in the tiny picturesque town of Jeffersonville, VT. We had a beautiful home, hiking and skiing trails right out our back yard, a huge spot for a vegetable garden, lots of space for projects, and the most amazing group of friends. But we desired something a bit more…a bit different. Something small town life couldn’t always provide. We wanted to climb huge mountains, gaze across vast prairies, and dip our toes in far away oceans. We wanted to see live music (the kind that rarely makes it to small states like VT), visit museums, botanical gardens, and tiny fishing villages. And we wanted to do it all at our own pace. Not during a two week vacation where we cram in as much as possible while driving like mad to fit it all in. What we wanted was not an extended vacation, but a lifestyle change. A lifestyle that allowed us to go where we wanted while still supporting ourselves financially and maintaining a sense of a home. Which brings us to today. Living out our dream in our home on wheels while traveling the country one day at a time. 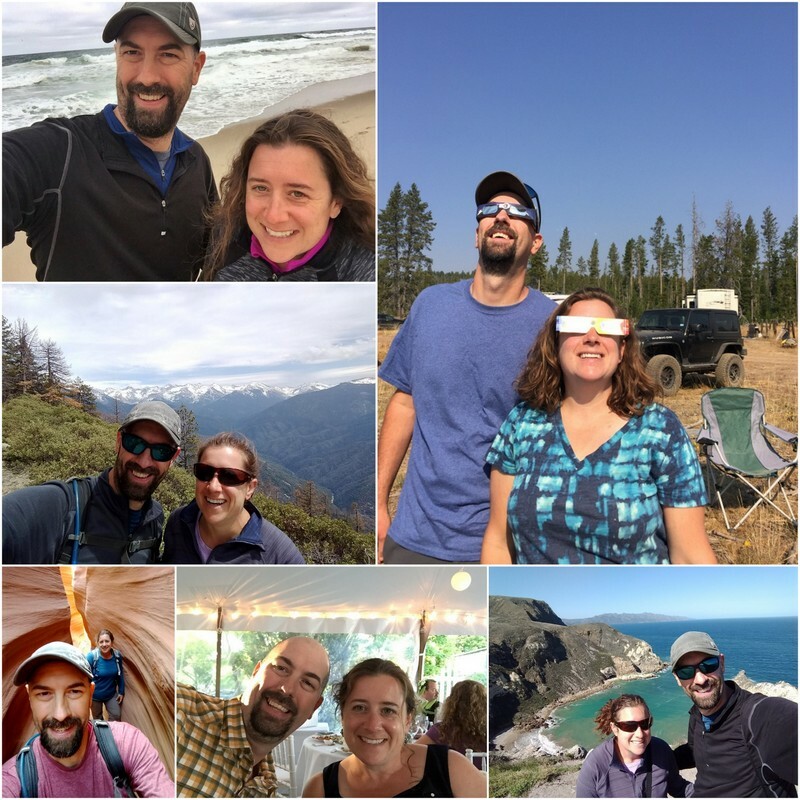 Since 2012, we have documented our travels with blog posts featuring the places we go, things we do, people we meet, and yummy food we eat (that last one is very important). Here are all the ways you can follow along. 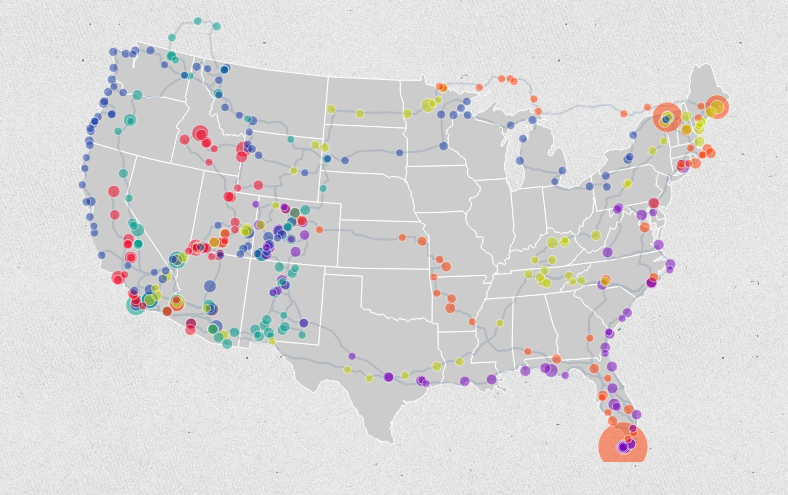 Travel Journal → All our blog posts organized by state and campground type. Airstream Page → Our 1998 Airstream has undergone several rounds of renovations. All updates and improvements can be found on this page. Travel Map → An interactive map of all the places we have been including corresponding blog post links. Travel Infographic → A live infographic of where we are, where we have been, and how we got there. Lots of cool stats here! Social Media → Follow us on Facebook or Instagram. Subscribe → Receive our blog posts via email by subscribing below.